An ode to the distinctive form of vintage dumbbell weights, the KILO Lamp Collection is the debut lighting collection from Thomas Yeend Design. 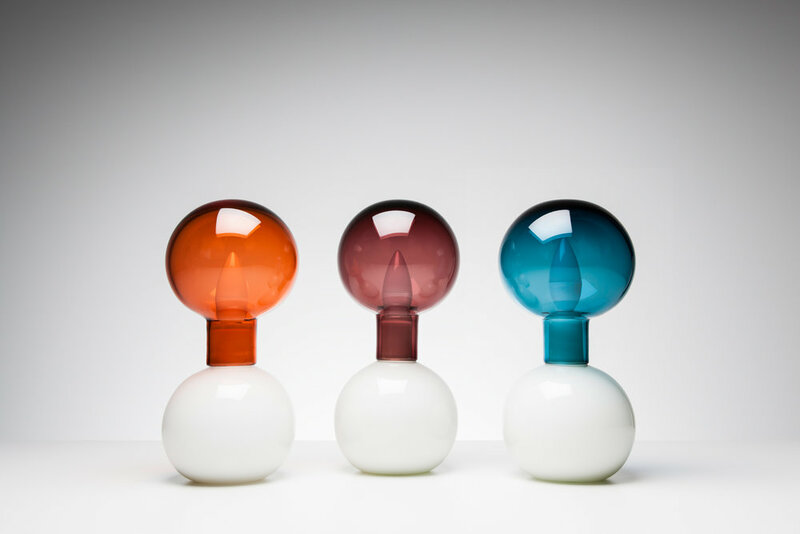 Available in Apricot, Aubergine, and Cobalt, KILO features two hand-blown glass orbs which sleeve neatly together at their collars. Fitted with a standard E14 LED bulb (supplied), KILO aims to be beautifully sculptural when off, and colourfully radiant when illuminated.